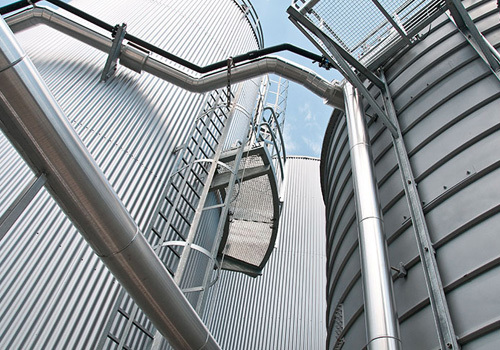 We offer quality tanks and system solutions in steel for industry, communities and agriculture. Your project, from an individual tank to a complete turnkey plant, will be completed with the emphasis firmly on longevity, flexibility and individual adaptability. 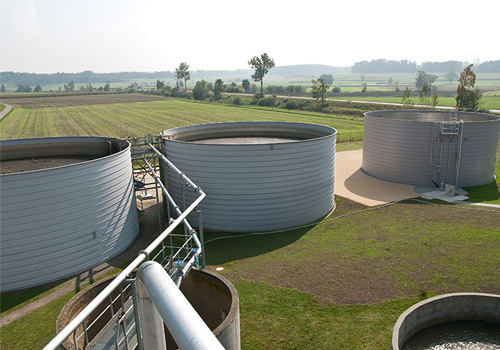 In industry, agriculture and communities, the proper storage and processing of solids and liquids places extremely demanding requirements on tanks – especially where problematic or aggressive substances are concerned. The LIPP-System is based on a simple yet ingenious tank construction principle that is the only one of its kind in the world. 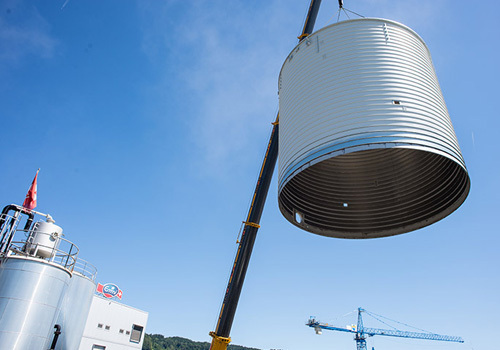 Steel coils, machines and accessories are transported to the building site where the tank is then constructed – the process is fast, efficient and flexible in terms of tank height and diameter. 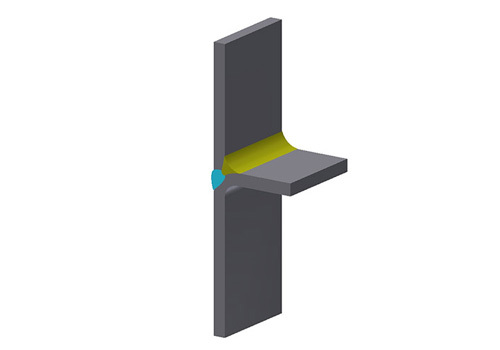 A profile is formed from steel strip by means of an automated two-step procedure. During the second step, the profile layers are joined together while the tank continues to grow upwards in a spiral. The steel strip can be tightly joined both using the LIPP Double-Seam System and also the LIPP welding technique, while ensuring stability. Conventional systems are often unsuitable for the optimum, safe storage of solid or liquid substances and their use can result in premature corrosion, leaks and problems with safety. Flexibility is another important factor. Tanks must be flexible in terms of size and substrate and optimally adaptable to the local conditions. The new automated Lipp welding process will again shake up tank construction market just as the well-established Lipp double-fold system did decades ago. It is a perfect combination of the long experience in metal forming and state-of-the art welding technology. Lipp offers a range of metallic materials suitable for use with a wide variety of media, from pure water to problematic and aggressive substances. Those materials range from galvanised/black steel through the combination material VERINOX to high-alloy stainless steels. VERINOX stainless steel is a patented, award-winning combination material that offers the properties of high-quality stainless steels, e.g. 1.4301, 1.4571 or 1.4539, at the cost of galvanized steel and has been in use for more than 20 years. 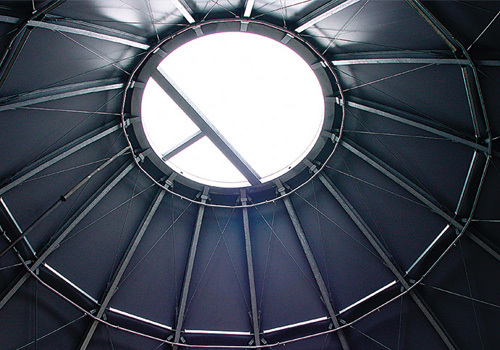 The highest quality and longevity of materials are our top priorities. Since the LIPP Double-Seam System was invented by Xaver Lipp more than 35 years ago, Lipp has been setting the standard for tank construction worldwide. Our tanks are the core business of our family-owned company and represent high quality, longevity and flexibility. 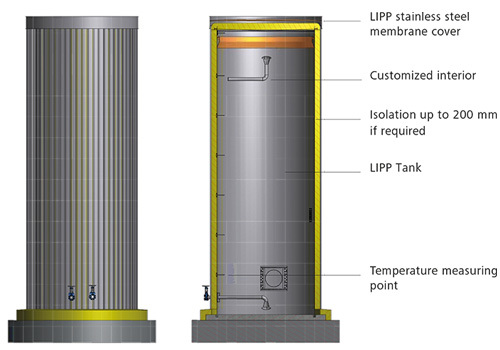 LIPP produces a range of tanks suitable for storing solid, liquid and gaseous media which are designed to allow customization based on the customer’s intended application. Both industry and communities require professional solutions for plant and tank construction and for the storage and treatment of liquids, as well as flexibility in terms of size, choice of material and equipment. When constructing liquid storage tanks, the selection of the best material is an important quality factor. 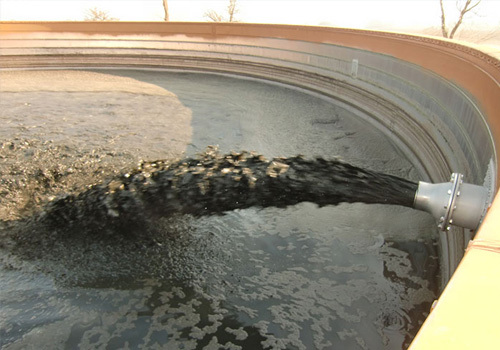 Municipal/industrial waste water and sludge or certain processing, intermediate and end products from the chemical, pharmaceutical and food processing industries set high requirements regarding the tank material, for example. LIPP offers a variety of materials, ranging from galvanized steel through the combination material Verinox to high-alloy stainless steels. Xaver Lipp began speculating about alternative energy sources as early as 1971. As a response to the oil crisis at that point, he began tests on the family farm, where the silos were being used for the first time as reactor tanks. With support from the universities of Weihenstephan and Hohenheim, he succeeded in creating energy from organic materials. In the 1970s, a digester with a horizontal fermentation process was created, with a paddle agitator and a screw conveyor. 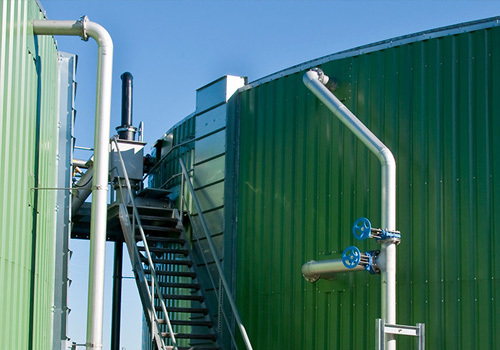 At the end of the 1980s, biogas plants were beginning to gain popularity as alternative sources of energy. Lipp customers were able to benefit from the know-how gained over the previous years of development. Further development and optimization of the digester led to the creation of four different digester types, each suitable for a different application. The LIPP Universal post-digester (with digester chamber volumes from 200 to 5000 m3) comes with the high-quality LIPP stainless steel diaphragm cover and is designed for use with an external gas accumulator. It is particularly suitable for the collection of residual gases and for improving efficiency. The LIPP KomBio post-digester (with digester chamber volumes of up to 2500 m3) provides a tank solution with an integrated gas accumulator. The patented post-digester is substrate-flexible and also protects the gas accumulator from the wind, weather and UV radiation. The third option is the LIPP Eco post-digester (with digester chamber volumes from 100 to 10,000 m3) which is available with or without a gas accumulator and with a choice of roof constructions. Lipp offers liquid manure containers for farms of any size that not only make promises to provide safe and cost-efficient storage but also keep those promises. 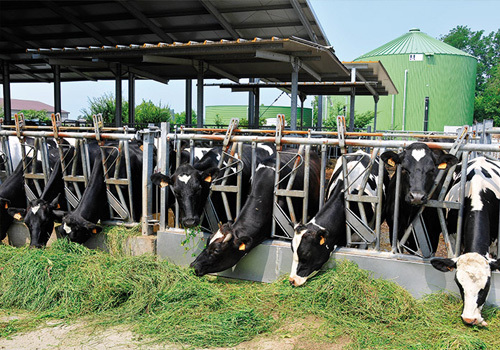 Stainless steel may be the material of choice for constructing liquid manure containers but steel is expensive – and that is why Lipp uses Verinox, the material that it developed in-house. A combination of galvanised steel sheet (for the outside of the container) and stainless steel sheet (for the inside of the container), Verinox offers all the benefits of a high-quality material while enabling significant cost savings to be made at the same time. The LIPP Double-Seam System enables containers to be constructed on site within a short space of time with a diameter that is steplessly variable between 3 and more than 50 metres. Damaged concrete containers can also be easily refurbished (see Container Refurbishing). In biological processes, gas production is not continuous. That is why the utilization of gas (e.g. in a combined heat and power plant) requires an accumulator in order to compensate for fluctuations during gas production and to bridge downtimes for plant repairs and maintenance. Besides high functional and operating safety, other important criteria for the construction and operation of gas tanks include the economic aspects of investment and maintenance costs. Lipp developed a system for the non-pressurized (up to max. 5 mbar) storage of dry gas which has been used for over 300 projects worldwide over the past 30 years or more. Sizes from 30 to 5000 m³ are available according to the gas yield in each case. The storage of bulk materials needs to be not only cost-effective but also safe, and systems should be easy to integrate in production processes. 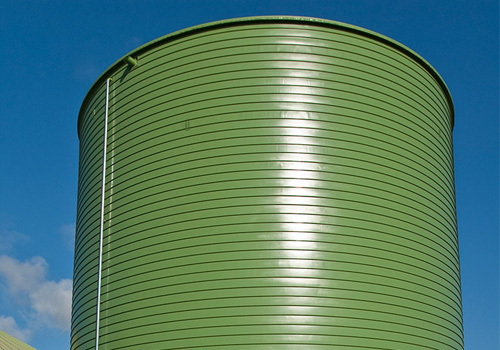 LIPP Double-Seam technology and welded LIPP tanks have proven to be particularly suitable for bulk storage applications in industry and agriculture. 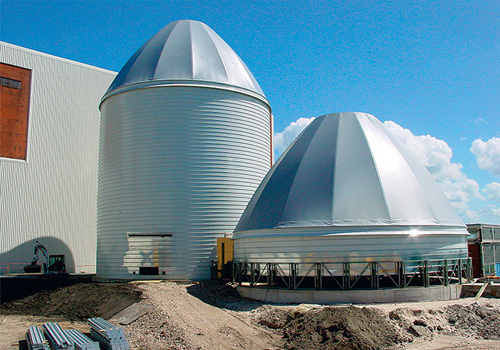 LIPP silos provide a high level of stability and total leak-tightness and protect bulk materials from moisture. The smooth internal walls of the silos are a benefit that pays dividends when storing special media. Grain, soya and other foodstuffs are precious commodities and a major asset in agriculture and they need to be stored particularly carefully. With the tried and tested Lipp Double-Seam System, Lipp silos offer major benefits in terms of design and leak-tightness. The container roof consists of a substructure comprising galvanized steel profile beams with a fibre-reinforced plastic tarpaulin stretched across them. It will give many years of use thanks to its UV stability. The material to be stored is therefore optimally protected against the effects of weathering. At the same time, the roof surface serves as a pressure relief disc in the event of dust explosions and prevents heavy parts from flying around, enabling damage to be rectified cost-effectively and within the shortest possible time. LIPP welded storage tanks offer the ideal storage solution for a wide variety of media. Tanks are produced by means of an automated welding process specially developed by LIPP and can be constructed with steplessly adjustable volumes of 50 to 10,000 m³ according to the application. LIPP offers a corresponding selection of metallic materials suitable for use with storage media ranging from drinking water and foodstuffs to ethanol or oil. 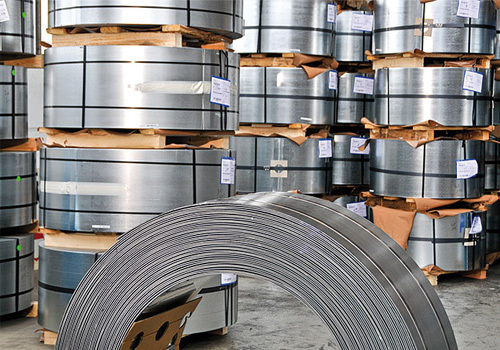 These materials range from a variety of different steel grades to high-alloy stainless steels. The automated process meets the highest quality standards. 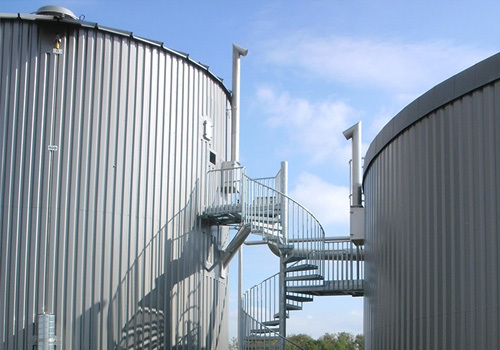 LIPP storage tanks can be produced within a very short time, either on site in the open air or inside a building. The special circumferential profile ensures additional stability compared to conventional processes. LIPP drinking water tanks for water supply companies are offered together with our project partner Kurz Leitungsbau GmbH. In doing so, we meet the highest standards applicable to the supply of drinking water, from planning and conception up to construction. 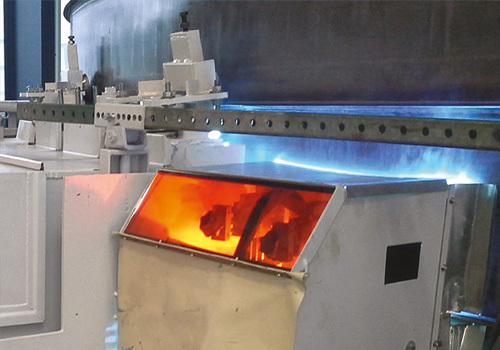 Our automated welding process for high-alloy stainless steels based on the LIPP System enables us to offer tanks with a maximum volume of 2000 m3. In addition, on-site production “off the production line” enables construction to be completed within the shortest possible time. Project realization is carried out by qualified production and installation personnel. Only high-quality system components (fittings, measuring and control technology, etc.) are used as accessories. 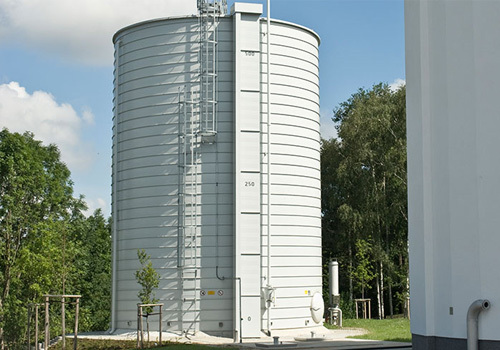 The LIPP buffer storage tank is the tailored thermal storage solution for renewable energies with an effective volume ranging from 80 to 3000 m3 which is suitable for individual customization. Expedient buffer storage is a prerequisite for the effective utilization of heat from biogas plants, biomass cogeneration plants, solar plants or other heat sources. 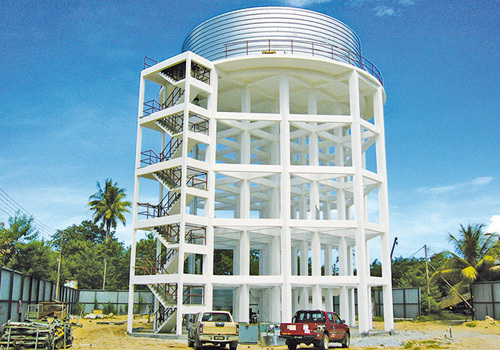 The flexible-capacity LIPP buffer storage tank provides the ideal solution for this application. The tanks are fabricated on site using the tried and tested LIPP Double-Seam System or LIPP welding techniques. Insulation can be tailored to the intended application in order to produce large-volume, above-ground storage tanks with an individually customized interior. The tanks are designed for non-pressurized operation with an operating temperature of up to 95 °C and are suitable for use with heating water. effective use of the heat from biogas plants, solar plants, etc. Special circumstances and requirements often call for containers which cannot be produced using standard solutions. This is where special tanks and silos which can be adjusted to suit prevailing conditions and provide individual solutions are required. The LIPP System offers a variety of possible solutions to a wide range of problems in the form of welded or folded designs. Steplessly adjustable diameters and heights enable tank dimensions to be individually adapted to the prevailing conditions. In addition, on-site installation only requires a minimal amount of space, for example enabling containers to be constructed in buildings or other situations where there is limited space available. 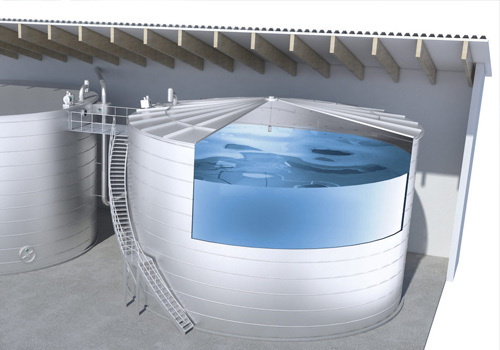 Tank-in-tank solutions can also be realized using the LIPP System. There are many factors to be taken into account in order to ensure that the medium to be stored is properly covered. To guarantee that the right type of cover is chosen, aspects such as structural requirements, container type, plant concept and the medium to be stored need to be considered. Lipp offers a wide range of roofs and covers which can be tailored and adjusted to each application. They include both roofs developed by Lipp and also solutions designed by our partners. There are also simple foil roofs to choose from for gas storage facilities as well as single-skin, double-skin or double diaphragm roofs. The LIPP stainless steel diaphragm roof also offers a particularly high-quality solution for the storage of volatile or explosive substances while the versatile LIPP segment roof completes the range of covers. The open intermediate storage of substrates means energy losses and that is why LIPP developed airtight storage tanks for preserving suitable substrates so that they could then be automatically pumped into the digester for further digestion all year round. As a result, these airtight containers turn energy losses into energy gains, i.e. a higher gas yield, and also prevent unpleasant odour emissions. The LIPP Betavator sugar beet silo is suitable for the optimal year-round storage (siloing) of sugar beets and other root crops which produce high biogas yields per hectare of cultivated land. After mashing, the beets are pumped directly into the gastight LIPP Betavator sugar beet silo where the high-quality sugar beet silage is preserved. The LIPP Ligavator was developed for the liquid preservation of wet maize and grain. The substrate is mixed via a filling auger and then pumped into the Ligavator. 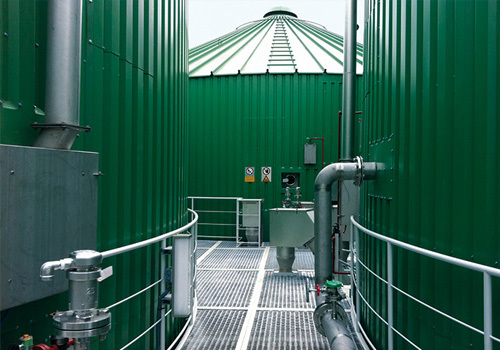 As a result, the operator is saved the laborious task of feeding the digester or the preliminary tank and the energy in the substrate is preserved. 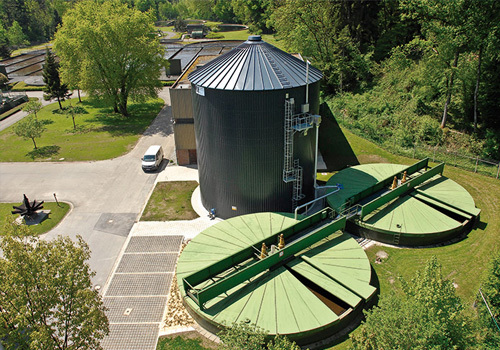 Changing conditions, material wear, a change to the filling medium – these are just a few of the factors that lead to the replacement of containers used in industry or at municipal sewage treatment plants. Quantities change and existing containers become too small – these are also problems that frequently arise. 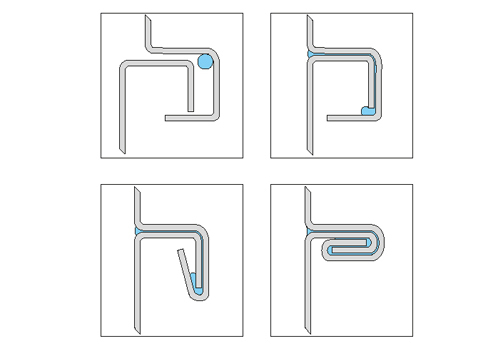 In such cases, the mobile machine technology from Lipp using the LIPP Double-Seam System or the LIPP welding technique offers a solution that is as simple as it is cost-effective, while being extraordinarily stable. Containers can be installed on site in any size required and can be placed in an existing steel or reinforced concrete basin using a mobile crane. The existing container volume is utilised, eliminating the need for expensive demolition work. There is also a range of materials to choose from for the container itself so that it can be optimally matched to the intended application. Verinox, the combination material developed by Lipp consisting of galvanised steel (for the outside of steel containers) and stainless steel (for the inside of containers), is characterised in particular by the excellent cost-benefit ratio that it offers. 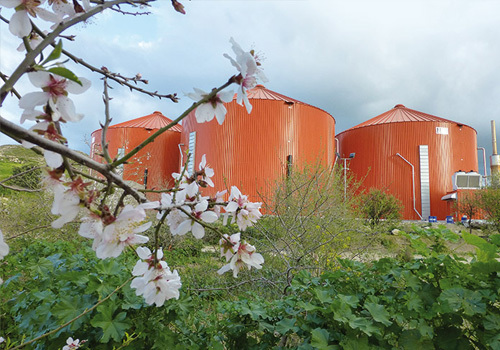 Whether grain silos, biogas systems or liquid manure containers, Lipp places the greatest importance on quality, safety, a long service life and cost efficiency over its entire product portfolio – including accessories. The whole is more than the sum of its parts. That is especially true for Lipp container solutions and systems as special attention is paid to all parts – including accessories – to ensure quality, safety, longevity and cost efficiency. A broad range of technical accessories is available for all containers. Some are produced in-house and some are purchased via partners or carefully selected suppliers with whom Lipp has established long-term relationships based on trust. 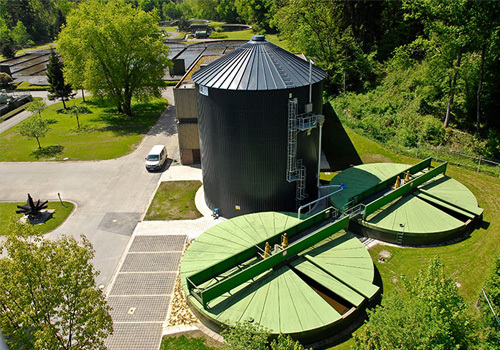 Lipp tanks and system solutions for municipal water supply and waste water management have been equally highly valued by operators as well as planners for decades. Modern agriculture is faced with a great many tasks today – including the proper storage, reuse or disposal of a broad range of different media, from crop yields to bulk materials, liquid manure or vegetable and animal waste. Special situations require special solutions. This is particularly true for the agricultural sector. It must be possible to realise the systems quickly and flexibly, and to ensure quality and safety with a simultaneously high level of efficiency. Lipp traditionally completely fulfils these criteria. Based in the rural area of the Swabian East Jura region, Lipp has been especially close to agriculture for the past 50 years and knows all the aspects when it comes to special requirements.